One of the great improvements to Guild Wars 2 over the past month was the update to several world boss chests. Completing a world boss now means you’re guaranteed at least one rare and as many as 3. This is an improvement over dungeon chests, personal story rewards, or just about any other loot in the game. Fractals had been one of the most profitable activity for me on a daily basis, now it’s going to world boss events. And it’s not just the high level temple events in Orr either. World bosses in low level zones are also very generous. Here’s a list on reddit detailing which chests have the improved drop rates. Everything from The Maw meta event in Wayfarer to Taidha Covington in Bloodtide Coast. And of course these new drop rates have created huge shifts in what people in Guild Wars 2 are doing. Dragon bosses in particular have gone from something done occasionally for some, to a must for virtually everyone playing. Overflow servers for Frostgorge Sound, Blazeridge Steppes, and Queensdale are now a regular occurrence. I haven’t seen this many overflow servers outside of Lion’s Arch since launch. And where Lion’s Arch has had overflow servers since the introduction of Fractals of the Mists, suddenly I can visit my own servers Lion’s Arch with ease. But with change always comes discontent. Some of the more populous servers have extensive overflow issues with native server populations unable to get in on their own dragon spawns. A lot of blame for this has gone to guests. Using sites like Guild Wars Temple, with its very useful dragon timers, guests have the ability to show up to dragons in advance of their spawn. While I admit that guesting may contribute to the problem, I’m certain the actual cause of overflow servers for most is that their own populations recognize the potential for loot and are showing up en masse. There are more legitimate concerns, in my opinion, than guests. For instance the poor mechanics of many major world boss events. Several bosses are so quick and easy to kill as to make the whole endeavour laughable. The Shadow Behemoth (finally available, thank you for that) lasts at most two stages before being killed. He barely uses some of his special skills, his adds die in moments, his big red circles barely hit anyone. Didn’t he used to do a thing where he sticks his fingers into the ground and they come out and attack people? Haven’t seen that in a while. The Maw also takes only moments to kill. One of the events is to kill a totem which does not take long or have any kind of return attack, or maybe it does and is killed too quickly. The other events take mere moments and you have to struggle to tag each event. The final boss also dies in moments, despite the cool as hell ice tornado. The Shatner works great, if you’re on the right side of him. If you’re on the left he does not attack you or significantly damage you in any way. He dies very quickly. Tequatl has never been very interesting, but it’s not as big of a joke as some other events. It still works the way it did before huge numbers of people started showing up, but it never felt like it worked the way it should. The big laser should be required to defeat him, the poison spread over a wider area, with more bloated risen, fears, and other attacks. Jormag probably works best out of all the dragons. On my low population server he still requires at least two rounds to get him to move to the secondary location. People still need to work together, at least somewhat. There is a spot at the 2nd location where a lot of people just stand and fire at him. Kind of wish that was gone. He can still be overwhelmed with numbers, just not as bad as some of the other bosses. I think out of all the buffed chests the Orr temples probably work the best, despite a few problems. Malchor could probably put up more of a fight. I wish you couldn’t push the final fight with Dwayna into a wall. Lyssa goes down way too fast without her daze. The transform Melandru has could be reworked I think. But generally speaking Balthazar and Grenth work pretty well with a few good chances for failure, unlike Dwayna. Of course all of this has had a major impact on the economy. The price of ectos has gone from about 38s before the patch to about 24s yesterday. I’m sure the major sigil and major runes markets are in a bit of disarray as well. Altogether I’d say it’s way too easy to complete most of the events tied to these new buffed chests. I hate to say it, but I smell a nerf incoming. Whether that nerf is to the loot itself or a reworking of mechanics, difficulty, timing, or limit to how often you can participate is hard to say. A nerf to loot would be super easy and super effective. But in the long run a rework of mechanics would be much healthier for the game. Unfortunately that would probably be quite a bit of work. Brief look at skill tiering. 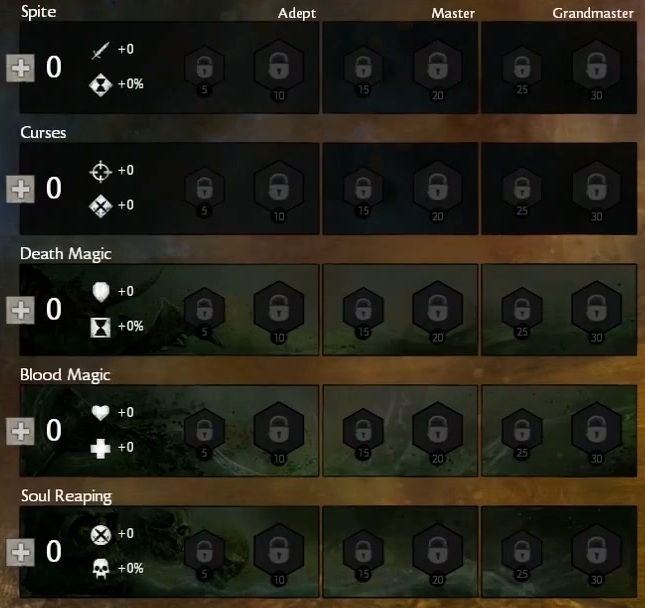 Recently we learned that Arenanet is trying out tiered progression with both traits and skills. I said I wasn’t a fan in my last post, but it’s a pretty complicated subject. I’m not unhappy with every aspect of tiered progression, but for the most part it doesn’t sit well with me. I imagine Arenanet is thinking that they want players to experiment more with skills and traits, to have a better sense of progression, and to learn the game with simpler skills in early levels. They also probably have balance in mind as it seems Arenanet is quite obsessed with it. Also they might be trying to stretch out progression beyond level 30 as far as skills are concerned. Players on the other hand are probably thinking about being constrained, wasting skill points on skills they don’t want, having their hands held like children, worrying about grind, and disappointed that Guild Wars 2 isn’t more free and open. Without testing it out myself it’s hard to know where to stand between all that. To begin with I don’t understand the need for this at all. There was already some level of skill tiering in place. Simple to use or less powerful skills cost less skill points. More complicated and useful skills cost more. Some might argue that little has changed, except now we’re forced to buy skills we don’t need or want to get to the skills we do. It certainly compels people to try out skills, exactly what Arenanet is hoping for, but in my opinion this is only temporary. People will discard the skills they’ve been forced to purchase the moment they can unlock the one they want. Skill tiering is effectively a skill point sink. And that’s not fun. That’s not even close. Nobody likes arbitrary hurdles. I will give Arenanet points for making those hurdles fairly insignificant however. 5 skill points is something you’ll have before you leave your first zone. By the time you’re in your 20s skill points come more quickly. The end result is that you end up buying more skills than you want or need, and we won’t have the skills we want when we want them. Fortunately the wait doesn’t seem like it will be too bad. I don’t think skill progression is stretched out beyond more than about 10 levels. It’s the 2nd tier elites that will be annoying to get to and purchase. The trait panel. You have 70 trait points, 30 max in a trait line. As for traits I assume the tiers are all about balance. If you put 10 points into each line and grab the most powerful trait from each, that seems ripe for exploitation. You would also have to make each trait as desirable as the next. Not an easy feat, so I understand this change more than the skill tiers. Another positive point is that this must make it much, much easier to balance. Keeping only a few high powered traits at the top of a trait line simplifies things immensely for developers, and perhaps, even for players. However it also seems like you would have to create a lot of not so great traits to put in the bottom tier. You’re also limiting the number of trait builds that will be tried out. Odd considering the point of the skill tiers is to diversify what people are using, but the trait tiers seem to do the opposite. The way I figure it people will be trying out 30/30/10 builds or 30/20/20 builds and that’s about it. I don’t see anyone going out of their way to try out multiple lines with only 10 trait points. Or at least I don’t see people going out of their way to do that in PvE when there is a price on respeccing. Something I’m much more unhappy about than either of these tier systems. Unfortunately this entire post is without really getting a look at which skills or traits are available in which tiers. A better understanding of the whole system would definitely come from using it. For now I’m left comparing these tiers to the skill tree systems of other more traditional games. The tiers have the potential to be either tedious grind or fun decisions. 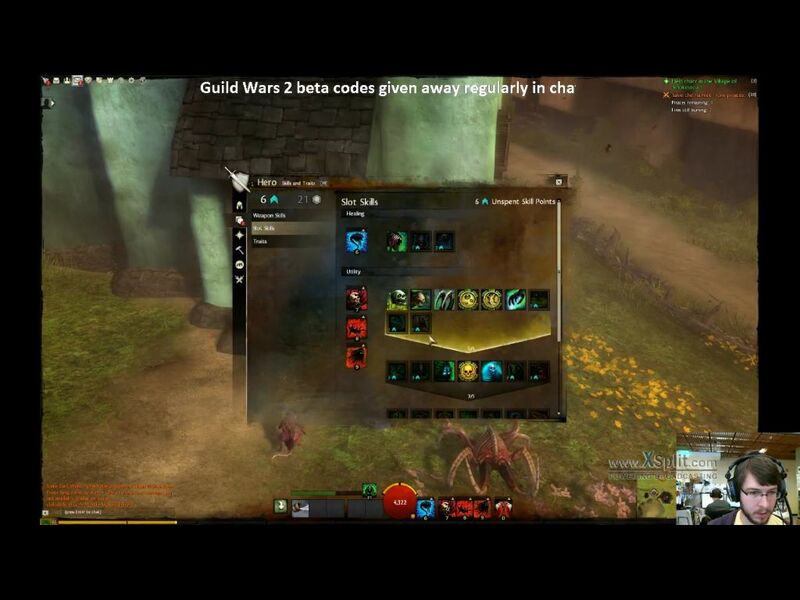 Hopefully Arenanet will iterate their way to the right path.